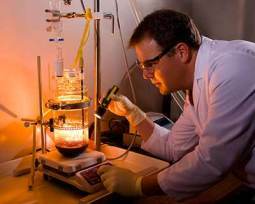 Household Products: Wonders of Modern Science or Household Hazardous Waste? Household Products in vast quantities is something most homes have in common. Our humble abodes are like nasty little chemical repositories and are filled with household products containing many of the same hazardous waste chemicals (ex. Benzene) typical to most of the nations Superfund hazardous waste sites. Just imagine the toxic soup of pesticides, petrochemicals, detergents, solvents, Lead, Mercury, Acetone, Formaldehyde, Benzene, Asbestos, Gasoline, Arsenic, and Ammonia (just to name a few) which was leached from the homes, businesses, factories, and refineries in New Orleans after Katrina turned the city into one big poisonous tea bag. Those murcky putrid waters were iridescent for a reason. But where did all of that rainbow water go and will the longterm effects to humans and other animals be? Though the government has downplayed the effects, I suspect the true magnitude of that chemical flush will become evident years down the road once epideological statistics prove increased rates of cancer, ect due to these toxins entering the food chain in that region. That will be the belated lesson. The immediate leason, besides the humanitarian and political ones, was splashed across our Television screens as the toxicity of our homes was illustrated on a large never-before-seen aqueous scale. Who could help not thinking about the chemical residues of man's footprint on the land following the events of Hurricane Katrina? The same household products now poisoning Lake Pontchartrain and the Gulf of Mexico are our calling cards and daily houseguests! There's no doubt that one of the Hallmarks of the human species is how we have mastered the manipulation of our environments using synthetic chemicals. This is nowhere more obvious than in the typical home. But there is a cost to having all these household products in our homes! It's a good bet that most homes have a wide selection of these potential sources of household hazardous waste. In addition to there ability to contribute to water pollution, many of their chemical ingredients are likely to contribute to poor indoor air quality due to off gasing of Volatile Organic Compounds (VOC) or Semi-Volatile Organic Compounds (SVOC). Some of these household products also contain dangerous ingredients which are flammable, corrosive, or can represent acute or chronic inhalation hazards for the user. You won't believe what's in some of these household products! Some common household products include: paints, paint strippers, and other volatile solvents; wood preservatives; aerosol sprays; cleansers and disinfectants; moth repellents and air fresheners; stored fuels and automotive household products; hobby supplies; dry-cleaned clothing. If you are a homeowner, homemaker club or organization, daycare provider, housekeeping business person, family and consumer science educator, or a pesticide operator you need to know about identifying hazardous household cleaning products, the safe use of potentially hazardous household chemicals, volatile organic compounds (VOCs) or volatile solvents found in these household hazardous waste containing chemical products, and pesticides. Indoor Air Quality can be impacted by some chemicals used for personal care and grooming, for hobbies, or to clean, protect, maintain, and decorate the home and its furnishings. Household products can release volatile compounds and hazardous chemicals into the air during use, as the household product dries or cures, or as the household product ages. 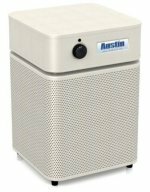 Purchase only the best air purifier that has effective HEPA filtration and gas-phase filtration in order to reduce the smallest and most damaging of indoor air pollutants such as Volatile Organic Chemicals (VOCs). Make your own safe products! Here's an extensive guide to making your own non-toxic Home-made Household Products! Limit the use of aerosol household products where possible. Aerosol household products tend to release more chemicals into the air because they disperse the household product into very tiny, airborne droplets. As an alternative, some household products are available in a pump spray which makes it easier to direct the household product toward its intended use, and therefore releases fewer chemicals into the air. No matter what the household chemical, never mix household products or chemicals together, unless specifically instructed. If household products are mixed, additional toxic chemicals may be released into the air through chemical reaction. A common example is ammonia and chlorine bleach, which are found in many household cleaners. When mixed, they react to form a toxic gas. Some chemicals used in the home contain volatile organic compounds (VOCs) or semi-volatile organic compounds (SVOCs). 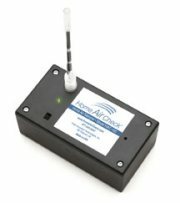 VOCs are Organic Solvents that easily evaporate into the air. Volatile Organic Chemicals can be toxic and harmful to the environment. Many household products containing VOCs can be dangerous or flammable, especially if used improperly. Water-based household products tend to be less hazardous to indoor air than household products that are based on organic solvents. Long-term or high levels of VOC exposure can cause permanent damage to various parts of the body, such as the lungs, kidneys, liver, and nervous system. When possible, use VOC household products outdoors where compounds are more widely dispersed. Provide plenty of ventilation and fresh air if VOC household products must be used indoors. If indoor use of VOC household products is required, schedule activities for a time when the weather is mild so doors and windows can be opened for ventilation. When using Volatile Organic Compound household products, take regular breaks for fresh air and be alert for possible reactions to the chemicals. Use protective gloves and glasses when using VOC household products. A respirator with an appropriate cartridge is recommended for prolonged use of Volatile Orgainc Compound household products, especially when working indoors. Keep VOC household product containers tightly closed to minimize evaporation. Keep children and pets away from VOC household products. Also, pregnant women and those who are chronically ill should avoid VOC products. You can learn more information about a potentially hazardous household product by requesting a copy of the Material Safety Data Sheet (MSDS). The MSDS contains complete information about a household product, including all safety precautions. Request the MSDS by calling the manufacturer. The household product label usually has phone numbers, website address, or other contact information. Another type of household product, pesticides, are poison; they are used to kill or repel. Pesticides can be especially dangerous household products and they require strict adherence to safety practices. Use pesticides only as directed by the household product manufacturer. CARPET AS A CHEMICAL "SINK"
Carpets and other textiles in the home can act as a "sink" for airborne pollutants. Chemicals sprayed or evaporated can collect in carpet, upholstery, and other textiles. Clean and maintain the carpet regularly, especially if there are young children in the home. Protect carpet and textile surfaces when household hazardous products such as VOCs or pesticides are being used. ARE "NATURAL" HOUSEHOLD PRODUCTS LESS POLLUTING? Some products for household use are considered as alternatives to "harsh chemicals," and are labeled as "natural" or "environmentally safe." Some of these household products are considered generic, such as chlorine bleach, ammonia, and boric acid. Many of these alternative household products may seem safer; therefore, people sometimes ignore directions for safe usage. Is the alternative household product as effective, easy to use, and convenient? Will the household product be safe to use for the intended purpose? Are there directions for use and safety information? Is the household product in safe packaging? The unsafe use of many common household products can cause many undesirable health effects. To protect yourself and your family, read on.Q: What are some of the household products I should be aware of? A: Solvents, Paints, Paint Strippers, wood preservatives, aerosol sprays, moth repellents, air fresheners, stored fuels, automotive household products, hobby supplies, pesticides and some household cleaning products and disinfectants. Q: What are the particular ingredients in these household products that I should be concerned about? A: The household products to watch for are those containing volatile organic compounds (VOCs), which are organic solvents that easily evaporate into the air. Some may be flammable. Following are some of the compounds listed on household product labels: petroleum distillates, mineral spirits, chlorinated solvents, carbon tetrachloride, methylene chloride, trichloroethane, toluene and formaldehyde. Other household product ingredients can also be a hazard if they are used improperly. A: Short-term effects include eye, nose and throat irritation, and headaches. 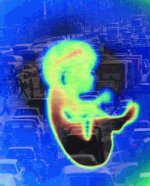 Long-term exposure can cause loss of coordination; nausea; and damage to liver, kidneys and the central nervous system. Some organics can cause cancer in animals and are suspected of causing cancer in humans. Q: What are some ways I can minimize potential health problems? First, read the labels of household products you are considering buying. Note the household product's ingredients and beware of any warnings of its use. Always use household products only for their intended purpose and according to the manufacturer's instructions. Use the household product in a well-ventilated area. Choose household products that are packaged to reduce the chance of spills, leaks and child tampering. Keep household products in their original containers so that safety information and directions for use are always with the household product. Q: Are there ways I can reduce my need for these household products? Quickly attend to spills and stains. Control excess moisture (such as standing water from air conditioner drains or refrigerator drip pans) and fix leaks, drips and seepage problems. You might consider using "natural" or "alternative" household products, but these household products also have pollution potential if not used correctly. Household products may be labeled "environmentally safe," but any household product that evaporates into the air has the potential to be an indoor air pollutant, depending on the quantity used, the method of use, the household product's toxicity and the sensitivity of the user. Q: Where can I get more information about safe remodeling practices? A: Contact your local Extension Office or your state department of health. Take action now. Do you have these household products in your home? Bleach, rat poison, mothballs, charcoal lighter fluid, oven cleaner, batteries, mercury thermometers, gas, oil, wood polish, toilet and drain cleaners, shoe polish, bug spray? Household products like these are dangerous for your children! In 2000, nearly 20,000 children were exposed to or poisoned by household chlorine bleach. Household products are called hazardous if they can cause harm when not used the right way. Not every household product is a hazardous household product and some are more dangerous than others. You can use most household products safely if you follow the directions on the label. Doing things that are not on the label is risky for your health and your family’s. People get in trouble by using too much of a household product, or by mixing two household products together, for example. Children can be poisoned if household products are stored or thrown away unsafely. Children’s bodies are small, so even a little bit of some chemicals can cause big problems. Eating or drinking a hazardous household chemical product is dangerous, of course. Also, just touching or breathing some household products— even a very small amount of them— can be harmful. They can burn your skin or eyes just by touching them. Some household hazardous products like many household cleaners can make you sick if they get into your body through the skin or when you breathe in their dust or fumes. Sometimes you know right away if you or your child has come into contact with a household hazardous waste product. You may feel sick to your stomach or dizzy. Your skin may itch or burn. Your eyes may water or hurt. Other problems don’t show up until later, like cancer or harm to your lungs. Also, being exposed to chemicals can affect a child’s growing body. You can protect your children and yourself from illness and injury. Use household hazardous products safely. Successful household hazardous waste management involves storing a houshold cleaning product or other potential household hazardous substance carefully. Dispose of them properly. The following will help you learn more! You can reach your local Poison Control by calling (800) 222-1222 from anywhere in the country. Put this number next to all of your telephones and where you store your hazardous household products. Do you store hazardous household products safely? Read the label. That is one of the most important steps in using household products. Look for words like CAUTION, WARNING, FLAMMABLE, HARMFUL, DANGER, POISON. These can tell you a household product contains a hazardous material. If you see these words on a label, be extra careful. Look for special instructions on the label such as: “work in well ventilated area.” This means work outside or with the windows open. The fumes can make you sick if you do not have enough fresh air. Wear “protective clothing.” This means wear goggles, safety glasses, gloves, long sleeves, or other coverings. The right clothing can prevent burns or keep the hazardous chemical from going into your body through the skin. Never mix household products unless the label says it is safe to do it. For example, never mix household cleaning products containing chlorine bleach with household cleaning products containing ammonia. You will make a deadly gas by mixing these together. Keep children and pets away from the area while you use the hazardous household product. Always put the cap back on and put away the household product right after you finish using it. Never leave the household product or container where children can see it or reach it. Don’t eat, drink, or smoke when using a hazardous household product. 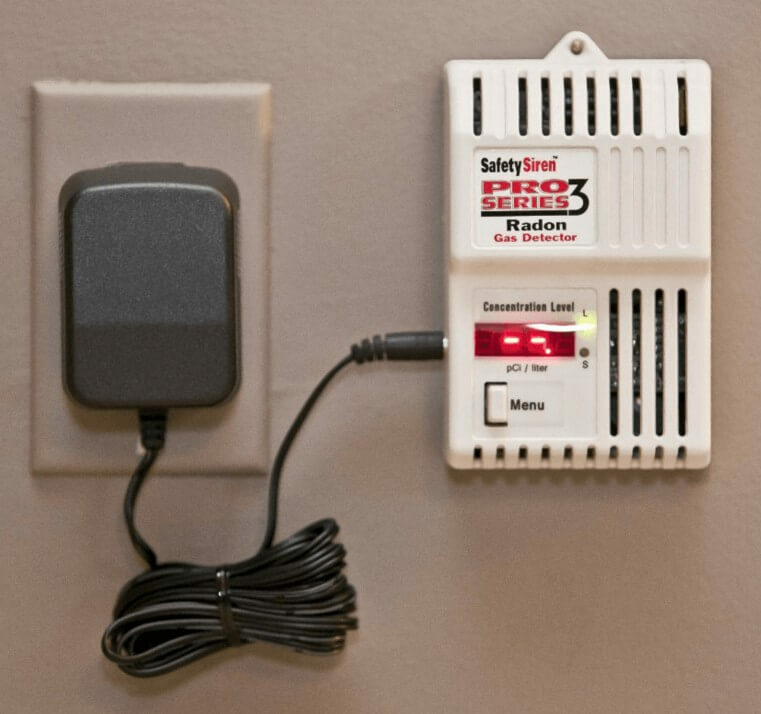 Be ready in case there’s an accident: Put the Poison Control Center telephone number, (800) 222-1222, where you can find it quickly in case of an emergency. Tape it to the wall by your kitchen phone, for example. Buy Syrup of Ipecac at your local drugstore and keep it handy. This medicine makes a person throw up. But only use it when a doctor or Poison Control Center tells you to. Sometimes throwing up makes the poisoning worse. Can you cut down on the hazardous household products in your house? Do you buy only what you need, so you don’t have extras. Prevent or reduce pest problems so you don’t need chemicals to kill them. Wash dishes and wipe counters often. Keep the garbage area tidy. If you’re pregnant, don’t use hazardous household products if something else will do the job. Think about using tools or household products known to be safe: use a plunger to unclog sinks instead of chemicals. Clean with baking soda (for scrubbing) or vinegar (for cutting grease). Make your own! Here's an extensive guide to making your own non-toxic Home-made Household Products! 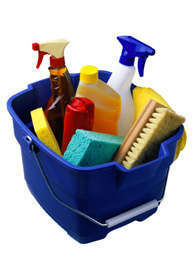 Do you store hazardous household products such as a houshold cleaning product safely? Keep them away from children. A locked, secure place is best. Store them in the package, can or bottle they came in. Never put them in another container (especially one for food or drink)! This helps prevent poisoning and keeps the label instructions with the household product. Keep containers and packages dry. Close them tightly. Set containers inside a plastic bucket in case of leaks. Store household products at least 150 feet away from your well, cistern or water pump. This will protect your water supply and your health. Keep household products away from heat, sparks or fire. Store batteries and flammable chemicals like gasoline in the shade, away from direct sunlight. How do you get rid of leftover household products? Share the extra with someone who will use it up. Take leftovers to a community hazardous waste collection point. Ask your local or state health department where this is. Some household products— like pesticides —are very hazardous. You will even need to be careful how you dispose of the container. The label will tell you what to do. Never dump or burn household hazardous waste products on your property. Dumping or burning household hazardous waste products near a water supply is very dangerous. Never burn household hazardous wastes in a barrel or stove. Burning may let off toxic gases and make hazardous chemical ash and smoke. And, it’s against the law in many states. Recycle used motor oil or antifreeze. Many communities have places for you to do this. Mercury is a threat to health. Some household hazardous waste products that have mercury in them are fluorescent bulbs, thermometers, thermostats, and blood pressure monitors. Call your local trash department or local health department to find out where you can recycle household products with mercury. Here are some ways to protect you family's health! Buy only what you need to do the job. Use household products known to be safe when possible. Read and follow directions on household product labels— always! Post the Poison Control Center telephone number next to the phone. Never mix two household products together unless you are certain it is safe to do so. Keep all hazardous household products, including a household cleaning product such as bleach, in a cabinet out of reach of children. Buy household products in childproof containers. Keep hazardous household products in their original containers. Give my leftover household products to someone else to use. Find out about my community’s hazardous waste collection points. Recycle household products that you can — oil, antifreeze, household hazardous waste products with mercury. Never burn or dump leftover household hazardous waste products or containers on the ground. Visit our extensive Household Chemical Encyclopedia which lists over 100 common household products, their toxic components, and how to safely use, dispose of, or replace them.